* Run the executable file and install the files on the platform of your choice. - or place manually the files in the "indicators" and "templates" folder of your platform. This product is complete with Instructions Manual .pdf file. I spent $7 for this product. - Place manually the files in the "indicators" and "experts" folder of your platform. This product is complete with Instructions Manual .pdf files. * Run the executable files and install the files on the platform of your choice. - or place manually the files in the "indicators" folder of your platform. These products are complete with Instructions Manual .pdf files. - or place manually the files in the "indicators" and "experts" folder of your platform. - place ForexMarketControl.tpl and ForexDirectionalEdge.tpl in the "templates" folder. - place FXScorpio_2ColorMA.ex4, FxScorpio_PLevels.ex4 and FXScorpio_DirectionalEdge.ex4 in the "indicators" folder. - place HarmonicPattern.ex4-BetterTrendAdvanced.ex4-UltimateSR.ex4-ScientificScalper.ex4 in the "indicators" folder. - place Profit Spring.tpl in the "templates" folder. - place UPS_BandsDev.ex4 in the "indicators" folder. All time frames with 4 signals alert, stop loss, 1Â° and 2Â° take profit; look at the screenshots. - place forexdiversity.tpl in the "templates" folder. - place RSI-Filter_v1.ex4, SupportResistance.ex4, TrendChannel.ex4, VQ_bars.ex4 and multitimeframetrendexplorer.ex4 in the "experts/indicators" folder. - place xb4.tpl in the "templates" folder. - place xb4a.ex4, xb4b.ex4, xb4d.ex4, etc in the "experts/indicators" folder. All time frames with sound alert. - place ssg template.tpl in the "templates" folder. - place SSG Bline.ex4, SSG Fbar.ex4 and SSG HASignal.ex4 in the "experts/indicators" folder. * Download now Renko Street V2 TRading System. If you prefer trade manually here is a powerful trading system. Renko Street V2 strategy is another updated version of powerful RenkoStreet chart. If you are looking for something powerful that isnt overly complex, whether you are a beginner or an expert, then the Renko Forex Trading Strategy is just the thing. I just spent money ($29usd) for this product, you may have problems trying or bying these things online, but I want to help you. * Download now SMART SCALPER System. I received a gift (value $479) from Rita Lasker for this Christmas 2015 and I want to share with you this powerful indicator. - place auto_trend_system.tpl in the "templates" folder. - place Trend.ex4 and ZWinnerAlert.ex4 in the "experts/indicators" folder. - place 100pips.tpl in the "templates" folder. - place 100pips Momentum.ex4, 100pips Power.ex4 and 100pips Trend.ex4 in the "experts/indicators" folder. - place ForexBlackMagic.tpl in the "templates" folder. - place BKMGC1.ex4, BKMGC2.ex4 and BKMGC3.ex4 in the "experts/indicators" folder. - place BBands_trend.mq4 and FlatTrend_new.mq4 in the "experts/indicators" folder. - place goldminer.ex4 in the "experts/indicators" folder. - place Forex_Freeway_2.mq4 in the "experts/indicators" folder. When adding Forex Freeway indicator to MT4 chart, be sure your chart has "Chart shift" settings on, otherwise you won't see the indicator - it will have no room to paint itself on the right. (Right click on your chart -> Properties-> Common -> enable Chart shift). Once enabled, you'll find a small triangle above your screen, You can move this triangle to adjust your charts shift. It is along side of the top of the left column. - place 9in1multitrend.ex4 in the "experts/indicators" folder. All time frames with 9 different indicators: ADX, RSI, MOM, CCI, OsMA, MACD, SAR, WPR, MA. For the general trend M15, M30, H1, H4 and D1 time frame, the software file calculates a combination of the 9 indicators. ENTRY POINT when all 9 indicators point in the same direction for the given timeframe, place the respective BUY / SELL trade. EXIT POINT when all 9 indicators point in the opposite direction for the same timeframe, exit the trade. ENTRY POINT when 7 out of the 9 indicators point in the same direction for the given timeframe, place the respective BUY / SELL trade. EXIT POINT when all 7 out of the 9 indicators point in the opposite direction for the same timeframe, exit the trade. - place MTF_Forex_Freedom_Bar.mq4 in the "experts/indicators" folder. - place (T_S_R)-BAR Trend.mq4 and (T_S_R)-Big Trend.mq4 in the "experts/indicators" folder. - place ForexMT4SystemsTrendLINE.ex4 in the "experts/indicators" folder. - place The Legacy Trader MT4 Indicator.ex4 in the "experts/indicators" folder. - place HotPips.ex4 in the "experts/indicators" folder. - place triple-profit-winner.ex4 in the "experts/indicators" folder. 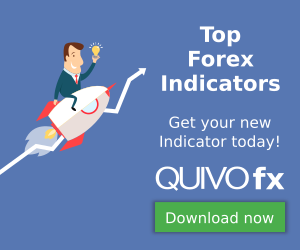 ^Warning^: before trade for real money, first you have to test all indicators for free in a metatrader4 demo account, so you can take confidence with all indicators and trades.